Town Centre Projects in Neath, Pontardawe and Port Talbot, hundreds of thousands of pounds going on strengthening the A474 Vale of Neath bridge and millions being ploughed into brand new, 21st Century schools for our children. Despite austere times, these are just some of the projects over the next few years which will be funded from Neath Port Talbot Council’s Capital Programme (2019/20- 2021/22) which is due to be approved by the Council’s Cabinet on February 13th. The Capital Programme for 2019/20 currently stands at £44.821m and there will extra funding of just over £5m from the Welsh Government which can be used up to the financial year 2020/21. 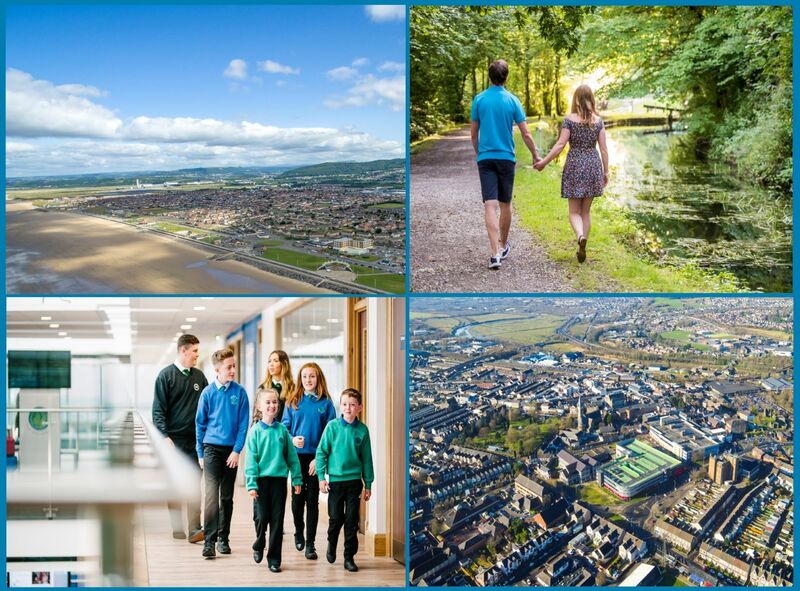 The vital Capital Programme – also including exciting plans for a £350,000 upgraded Aquasplash attraction on Aberavon Beach - provides details on the planned expenditure on major capital projects and outlines the resources available to fund them. Councillor Carol Clement-Williams, the Council’s Cabinet Member for Finance said: “The Council places great emphasis on the importance of capital investment as a means of regenerating our communities across the County Borough and providing modern and safe buildings and infrastructure like roads and bridges. “The Council will invest around £45m in 2019/20 and when additional external funding from 21st Century Schools and other sources are included it is projected that the total investment over the next three years will be more than £120m. Creating a Cefn Coed Valleys Landscape Park (£250k) to develop the Cefn Coed Colliery Museum site as a “Discovery Gateway” for the multi-million pound new Valleys Regional Park. Replacing the popular Aberavon Seafront Aquasplash (£350k) water park to provide an upgraded family facility at the important visitor attraction. Improvements (£150,000 in total) at Resolven Canal Car Park (refurbished toilets and a café), brown signage destination schemes for Pontardawe and Glynneath and ongoing investment in visitor infrastructure at Afan Forest Park plus additional investment for Gnoll Country Park. Town Centre Projects (£290,000) in Neath, Pontardawe and Port Talbot to deliver transformational activities to protect and enhance the three town centres. The Council has also been awarded £3.795m to facilitate and support the delivery of additional childcare facilities across the County Borough. Facilities will be developed at seven schools (YGG Castell Nedd, YGG Blaendulais, Abbey Primary, Baglan Primary, Blaen Baglan Primary, Rhos Primary and Wauncierch Primary).